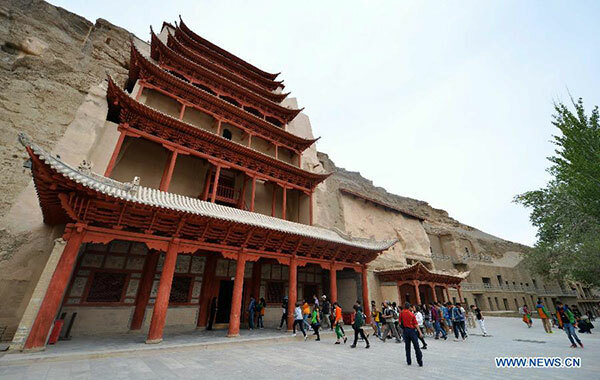 Dunhuang’s old town is a timeless ode to desert trading, the sand battered houses making for a quiet few days lost in history. A couple of hours out of town, Yumenguan was the original entry gate into ancient China and there are some evocative Great Wall remains to see nearby. The Northern caravan route passes through Hami, Turpan, Korla, and Kuche, before reaching Kashgar. It’s accessible all year round with each stop being a day hour apart by passable road. Each stop is a fascinating piece of history stuck in time. These destinations are also connected to Kashgar by railway, with Turpan to Kashgar taking 22 hours by the fast train. Far more challenging, the souther route takes you through Cherchen, Khotan, and Yarkand. These towns thrived on trading jade and are extremely unspoiled; expect vodka drinking with the locals, watery yak meat soups, and real off the beaten track adventure. However, note that the dirt tracks are in terrible condition and it’s a long bumpy ride. Urumqi is the region’s capital and transport base. Many will pass through here but it’s usually not worth lingering unless you’re looking for some modern comfort after a long desert journey. Urumqi is a very dominant Chinese city, without the charm of Kashgar, that lies a long overnight train journey to the southwest. Kashgar is one of the world’s great trading posts and the center of East Turkistan, the stateless Uyghur nation. Its streets of heritage and peaceful atmosphere make it a haven for overland travelers, many staying for up to week as they recuperate from long journeys. Kashgar’s animal markets showcase unadulterated traditional culture. Sheep and donkeys are on sale, the locals coming together to haggle for hours over a price. Expect some very bizarre sights. ◦ Kashgar’s Old Town is a maze of Silk Road houses, mosques, and bazaars, compact enough to explore on foot yet big enough to keep you interested for days. It’s a living heritage site, the buildings still occupied by the Uyghurs who continue to trade in animal products. You can’t miss the New Town but you’ll want to avoid it. The flashing neon and modern shopping malls don’t sit comfortably alongside local culture. Two distinct parts of the Old Town are essential for those short on time. Areya Street is the most complete area of Uyghur style architecture, while Gaotai Minju is a labyrinth of mud houses seemingly on the verge of collapse. The tombs of Mahmud Kashgari, Apak Hoja, and Yusup Khass Hajip, are elegant resting places of East Turkistan’s heroes. Each showcases exquisite Islamic interiors of sapphire tiles and elaborate inscriptions. For weird and wonderful food, Kashgar is a surreal as it comes. Sheep testicles, cow lungs, animal brain, goat eyeballs. Every part of the animal is eaten and hundreds of locals congregate at evening markets that barbecue and boil their food. Each stall specializes in one weird dish.